Having a best friend makes everything more fun! Join Caroline and Cassie as they chase down a runaway horse, rescue an orphan, teach hummingbirds to eat from their hands, visit a blind fortune-teller, unite star-crossed lovers, organize an elaborate Christmas pageant, and lose a little girl in a hide-and-seek game gone wrong. Sounds like fun any girl could have, doesn't it? Guess what - Caroline and Cassie live in South Carolina back in 1840, without cell phones, TVs, or cars. But living back then doesn't put the brakes on their crazy, fast-paced lives. Do you think that girls in history were dull and dutiful? Not these two partners in adventure.... In a house where the grown-ups aren't paying much attention, Caroline and Cassie get in - and out - of their share of trouble. 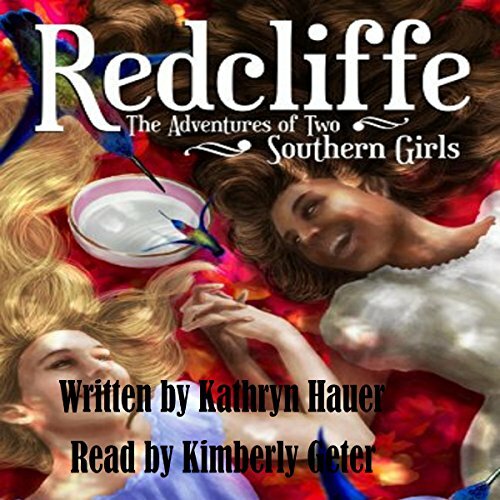 Redcliffe is a book-within-a-book where modern-day best friends Bailey and Bianca lead listeners to our heroines. When Bailey and Bianca go to their teacher's wedding, a mean guest shocks them with unkind words. The stories their teacher tells them explain that racist comment and take the girls back into the antebellum South where they - and you - get to know Caroline and Cassie. Living on an immense Southern cotton plantation means plenty of excitement for two fun-loving girls. Can Caroline and Cassie manage to stay out of trouble for more than one chapter? Find out in this lively novel where girls like you have nonstop adventures. A series of character sketches of encounters in the lives of two twelve-year-olds growing up in antebellum South Carolina. They're friends, but one is a slave on the Redcliffe Plantation. While the author acknowledges the evils, the focus is on the friendship. The novel also is a love letter of sorts to literature and education. The narrator does a wonderful job of communicating the many characters, vocally painting the charming, the churlish. and all points in between. Lovely work.